Tetanus Vaccine implicated once again as sterilization agent! NAIROBI, Kenya, April 1, 2014 (LifeSiteNews.com) – The Kenya Conference of Catholic Bishops is demanding answers about a national tetanus vaccine campaign that they say is suspiciously like campaigns run in other countries where a birth control agent was covertly mixed in. Run by the World Health Organization and UNICEF, the Kenya campaign exclusively targets Kenyan women of childbearing age (14-49), and excludes boys and men and younger girls who are also at risk from tetanus infection. When injected as a vaccine to a non-pregnant woman, this Beta HCG sub unit combined with tetanus toxoid develops antibodies against tetanus and HCG so that if a woman's egg becomes fertilized, her own natural HCG will be destroyed rendering her permanently infertile, the bishops explain. In this situation tetanus vaccination has been used as a birth control method. 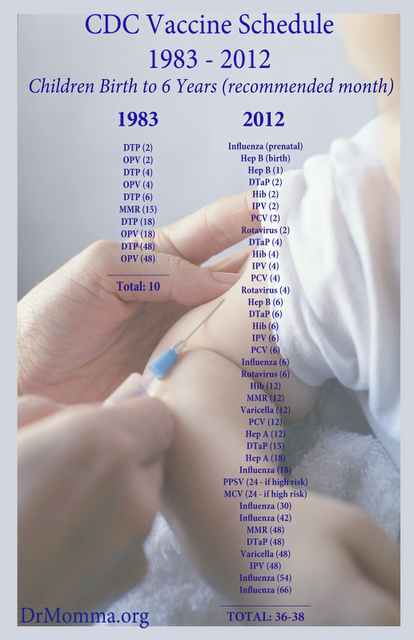 Why the sudden drop in Immunizations? The numbers are alarming, only 63 percent of teens have their recommended shots. Two-year-olds are hardly any better, with less than 72 percent getting theirs. "Because of their developing immune systems and exposure in settings like school and daycare children and infants are especially vulnerable to vaccine preventable diseases," said Kenneth Elmassian, the President of the Michigan State Medical Society. So why are so many parents in Michigan leaving their kids vulnerable? "One of the challenges with regards to immunizations, as some of you may be aware, the recommendations tend to change on an annual basis, sometimes more frequently than that," said Jevon McFadden, an M.D. who works at the Michigan Department of Community Health. Making matters worse, some shots are individual while others come in a series. Kids need about 6 different kinds of shots. Just keeping track of the 16 different doses is challenging. Further compounding the issue, some anti-vaccine organizations claim the shots cause things like autism. "There is some media out there that is not accurate and the public does respond to that," said Bob Swanson of the Michigan Department of Community Health. "we also have a lot of vaccines that are administered in a short number of time." While state law requires kids get vaccinated, there are three waivers. Kids can get a medical or religious exemption, but a growing number of people file a waiver for "other objections." "We've seen a dramatic increase in those "other objections," people that are signing waivers for sometimes legitimate reasons, personal beliefs and other times laziness," said Swanson. Doctors are urging parents to add shots to their back-to-school lists. It's easy to get behind, but their are physicians warn of serious consequences. New evidence suggesting a link between the MMR vaccine and autism emerged yesterday. Scientists reported finding a strong association between the vaccine and an immune system reaction which is thought to play a role in autism. The team led by Dr Vijendra Singh analysed blood samples from 125 autistic children and 92 children who did not have the disorder. In 75 of the autistic children they found antibodies showing there had been an abnormal reaction to the measles component of the measles, mumps and rubella vaccine. Nine out of ten of those children were also positive for antibodies thought to be involved in autism.These antibodies attack the brain by targeting the basic building blocks of myelin, the insulating sheath that covers nerve fibres. This stops the nerves developing properly and may affect brain functions. Dr Singh has suggested that an abnormal immune response may be the root cause of many cases of autism. However, the Government's Chief Medical Officer and the British Medical Association, both insist there is a wealth of scientific evidence that the triple jab is the safest way to protect children. 2012 Flu Shot Ineffective ONCE AGAIN! Every year the flu shot is hyped up and every year it fails to do its job. Color me not surprised. All it takes is some basic understanding of a flu virus and how the 'vaccine' is manufactured to know that there is no possible way that this hoax could be effective against a flu virus that mutates daily. No matter how much research is put into 'predicting' the strains of flu virus that will occur, they can never be right. Knowing that, why would anyone put dangerous chemicals (including mercury, as this is one of the few that is still admitted to having mercury in it as a preservative) into their bloodstream instead of enhancing and building their immune system with natural substances? It boggles the mind. Do yourself and your family a favor and buy some vitamin D3, which has been proven in clinical studies more effective against the flu than the flu shot (which as been proven ineffective). JACKSON, M.S. --The Centers for Disease Control (CDC) is warning the flu season appears to be bad this year - spreading faster and earlier than usual.Officials with the CDC have said the South and Southeast sections of the country are getting hit hard. Even people who received the flu shot can still get sick, they said. "Number one it does take some time for the vaccine to take effect and if you are exposed to influenza a very short time after getting the vaccine you can still get infected," Dr. Michael Jhung, CDC Medical Officer - Flu Division, said." There is one theory that the outbreak may be due in part to the possibility that the flu vaccine does not include the strain that is currently spreading across the country. This is in addition to a laundry list of side effects ranging from asthma to death. Please don't get this or any other vaccination while you are pregnant, it is untested and dangerous. Then think about not getting it at all as it doesn't work anyway and it is not worth the potential health consequences. Look into natural remedies for Whooping cough. ATLANTA (AP) - Expert government advisers want every pregnant woman to get a whooping cough vaccination. It's only the second time a vaccine has been recommended during pregnancy. Flu shots are also recommended for pregnant women. The aim of the whooping cough shot is to protect newborns, who are too young to get the vaccine. The panel's vote was a reaction to the resurgence in whooping cough. The nation is on track to have the worst year for whooping cough since the 1950s. There have been more than 32,000 cases, including 16 deaths, this year. The Advisory Committee on Immunization Practices approved the recommendation Wednesday. Federal health officials usually adopt the panel's advice and send it to on to doctors and the public. when administered to a pregnant woman or can affect reproduction capacity. Fluzone should be given to a pregnant woman only if clearly needed. Fluzone is approved for use in persons 6 months of age and older. So this is clearly irresponsible, dangerous and unbelievable that more and more media outlets are recommending this obviously non-FDA approved application. Why would a product indicated for children older than 6 months and not tested on Pregnant women be pushed for pregnant women? Now that you know these facts, ladies...don't let them scare you into doing something that can do irreparable harm! PREGNANT women are being urged to take their flu vaccination to protect their unborn child. During the 2011/12 flu season approximately 2,500 pregnant women registered with a GP practice in Calderdale. Figures showed that just 27 per cent of mums-to-be in had the flu jab. Dr Graham Wardman, director of public health for Calderdale NHS, said: “Flu can cause serious illness in pregnant women and in the most severe cases can put the lives of expectant mums and their unborn babies at risk. This is because the woman’s body and immune system is adapting to accommodate the growing baby and is therefore less able to fight off the flu virus,” he said. Pregnant women who catch flu are at increased risk of serious complications such as bronchitis and pneumonia. And by not having the vaccine, mothers could put the baby at risk of premature or still birth. “When you are pregnant with your child you want to do what is right for your baby and some mothers-to-be worry about the vaccine. “It is safe for mother and baby and can be given at any stage of pregnancy. In fact, having a flu jab while pregnant will also automatically protect your baby against this dangerous illness because the antibodies you develop are passed to your baby and will last during the first few months of your baby’s life,” added Dr Wardman. This year, pregnant women are also being urged to get the whooping cough vaccination to give their baby the best protection against whooping cough, following a national outbreak of the disease, as very young babies are at the greatest risk of serious complications. Women over 28 weeks pregnant can ask their midwife or GP practice about a flu jab or call NHS Direct on 0845 46 47. Moms, Dads, ask yourself why you didn't receive 36-38 vaccines by the time you were 6. Ask yourself if you missed them? Ask yourself why does my child need this if I didn't have it and I am fine today. After asking yourself these questions, look around at the health of the kids you see at the mall or any other public gathering. These kids, by in large, are on this vaccine schedule. Also realize that there has never been any sort of test to analyze the safety of taking all of these shots. Then, ask yourself why the mandatory vaccine schedule has more than tripled since you were a kid. Could it be money? Yes, of course...look at the large corporations that are creating these concoctions. They would bad at business if they didn't lobby to get these previously non-mandatory and unneeded shots mandatory. So before you get your baby on the 'mandatory' schedule, think about if you really want/need to do that. In this study performed by the University of British Columbia (Probably Anti VAXXERS!, I kid, I kid), they studied brain tissue of two females who died after the administration of the Gardasil vaccine. The assertion in this paper that autoimmune vasculitis, a condition where the immune system turns on its own tissue, is to blame for not only the two deaths studied but also other deaths located within the adverse vaccine reaction database that are consistent with this condition. Charred Shrink Wrap in Merck Vaccines: Read the FDA Inspection Reports. If for no other reason, parents should not give their precious babies contaminated vaccines because you just cant trust the money hungary manufacturers. This is another in a sordid history of contaminations in vaccinations. The latest pharma world example of wow-that-really-shouldn’t-be-in-there comes from Merck. As the WSJ reports, the company says charred bits of plastic shrink wrap have been found in vials of vaccines made at a big plant in West Point, Pa. Affected products include Gardasil, used against the human papillomavirus, as well as shots against shingles, measles/mumps rubella, pneumococcal disease and chicken pox. How’d this happen? It seems pieces of the wrap weren’t removed during vial washing and were charred during a sterilization process. Merck says there are no reports of adverse health problems, though theoretically the particles could cause a reaction at the injection site. The problem is very rare, according to the company. The measles vaccine killed two infants and left 3 others in serious condition in India. Of course, the trusty 'milk aspiration' or catch all SIDS was not applicable here because 3 other babies were left in serious condition. When this occurs, look out poor doctors and nurses doing their jobs...you will be the scapegoats!!! TNN Aug 4, 2011, 07.44am ISTJAIPUR: Along with the general nurse & midwife (GNM), two doctors have also been named in an FIR for alleged carelessness in administering contaminated measles vaccine which resulted in the death of two infants in Nagaur recently. Three infants are still undergoing treatment at J K Lone Hospital here. The villagers lodged an FIR against the medical officer of primary health centre in Deoli Dr Subhash Bhaskar, block chief medical officer Ashok Singh Rajawat and GNM Meratiya at the Moretha police station of Nagaur district on Wednesday. A senior medical and health department official in Nagaur said, "Keeping in mind the gravity of the situation, the department is planning to dismiss them." The FIR was lodged by Gopal Ram, uncle of an infant admitted to JK Lone hospital in a serious condition three days ago. The department said a team has prepared the report on the case. "The team stated there was negligence in administering the vaccines, therefore, the department has dismissed the GNM and filed a chargesheet against four doctors in Nagaur on the direction of health minister A A Khan," a senior medical directorate official said.